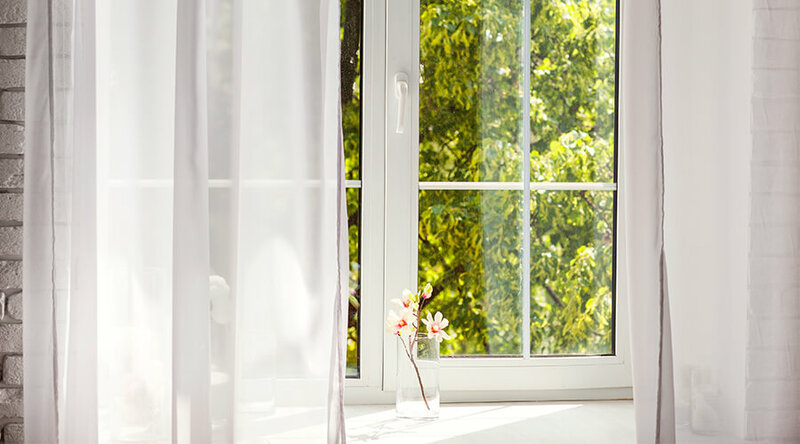 Windows are critical in a house, despite them not being the most important they are one of the first things somebody sees before entering or when walking past your home. They are also the leading light portals into your home and can affect the rate that heat comes and goes into your house. Not sure on what windows to invest in? This article is to inform you why double-glazed windows are the best for your home. Most homes now have double or even triple glazed windows, and the single paned window is slowly decreasing in popularity. Why? Because double-glazing is more beneficial to everyone for a number reasons and we are going to list them down below for you. The name double-glazing hints it has two layers, which make it more insulating just in that. The air tight construction of a double glazed window creates an improved thermal insulation for your home, and it reduces the flow of incoming and outgoing heat, therefore with double glazed windows, you will begin to see your energy bills drop. This means that your house will be warmer in winter and with single paned windows in winter your house would lose up to 60 percent of its heat just through your windows. Double-glazing helps to capture the natural heat from the winter sun making it the ideal insulation method. A lot of old buildings have timber, aluminium or iron framed windows which give them a historical aroma as they haven’t been updated and go with the overall design of the building, these same windows are typically used in commercial buildings such as schools or work buildings. One of the best ways to modernise or update your home if you fancy a change or want to update the look of your older looking home can be to install uPVC windows. uPVC double glazed windows are a modern looking type of window that is designed to insulate your house more than your average window. Another positive of this window is it is also weather proof and can survive both stormy and sunny weather. Also available in different colours and wood like effects uPVC windows are one of the most popular forms of double glazing windows and can completely transform the presentation of your home. Double glazed windows can create what is almost like a sound barrier for you home. Although it will not completely block out any unwanted noise, it will reduce the volume of it dramatically. Your home will instantly be a calm, serene environment, and in some cases, double glazed windows can reduce noise pollution by up to 65 percent, making it ideal for properties situated on a busy road or next to a noisy commercial building. The elements can be a problem for a lot of things when in the sun for too long or in harsh winds and rain it is easy for things to become damaged and broken down from prolonged exposure. Double glazing windows provide a cloak of protection to your home’s belongings. By reducing the amount of sunlight and heat entering the room, double-glazing can help prevent the damage to any of your belongings. Furniture, carpets, wall paint and any paintings hung up on your wall are susceptible to damage from the elements, and it does not take a lot for them to begin to discolour, fade or crack. The sun works as a bleaching agent and after a while can bleach any materials like curtains or sofas. With extra layers of glass and an airtight layer double-glazing adds more bulk to your home security as opposed to single paned windows. Double-glazed windows double glazed windows</a> are sealed considerably more making them harder to smash or break, meaning it’s significantly harder for someone to break into your home via the window. Because of double-glazing’s toughness, it means that a thief or intruder trying to enter your home is going to give up after a while if they cannot get inside or if it is taking up too much time, it also makes an increased sound that could alert people of suspicious activity. The tight seal ensures that your windows will be almost impossible to force open from the outside of your home. Because double-glazing can insulate your house at a steady pace so that your home is just the correct temperature you won’t be needing to be up and down changing the heating dial up and down. So after a few months of double glazing, your bills will start to decrease, which is also beneficial to the environment and can help with dangerous emissions released from energy plants. Double glazed windows are considerably quick to install by our trained team at Click Glazing Milton Keynes, making your day swift and smooth with no change of plans or cancelling plans to have your windows refitted. If your home is properly insulated, you have a higher chance of someone showing interest in your property as opposed to a drafts in a non-insulated home. UPVC double glazed window such as the ones at Click Glazing Milton Keynes offer increased value of your home and are one of the least dramatic and cost effective changes you can make to your property to increase resale value. Condensation can be annoying on windows and can cause severe problems if you have an older home. And if your windows are coated in condensation it often leads to bigger problems such as damp, mould and mildew which if left can affect your family’s health. The airtight seal structure on double glazed windows prevents condensation and excess moisture on windowpanes by blocking the moisture in cold weather, although you may still get a minimal amount of condensation with double glazed windows you will see that the amount of condensation decreases significantly. So that’s why double glazing windows are the best for your home and some of the ways they can benefit you. We hope this article was beneficial, and if it was why not share?